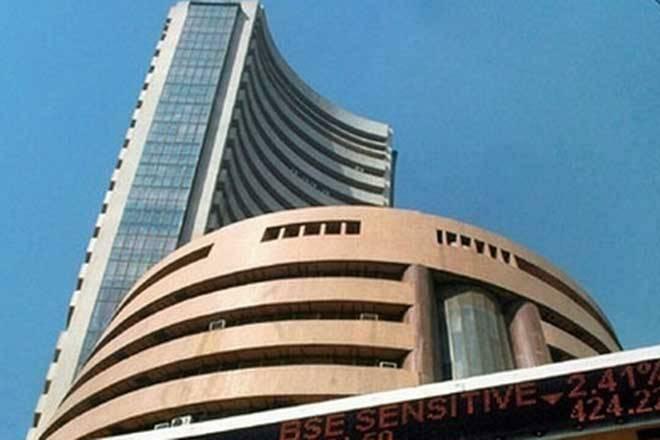 The BSE Sensex regained the 35,000-mark by recovering over 200 points at the start of the last trading session of the Samvat year 2074 Tuesday on buying in auto, banking and metal stocks amid fresh foreign fund inflows and encouraging corporate earnings. The 30-share index gained 207.21 points, or 0.59 per cent, to 35,158.13. It had lost near 61 points Monday. The National Stock Exchange's Nifty too was trading higher by 54.90 points, or 0.52 per cent at 10,578.90. Brokers said a mixed trend in other Asian markets, supported by overnight gains at the Wall Street ahead of the US mid-term elections, influenced sentiments here. In the Sensex kitty, major gainers included Tata Motors, Vedanta, TCS, RIL, Yes Bank, Infosys, Sun Pharma, Maruti Suzuki, Kotak Bank, IndusInd Bank, HDFC Bank, Bajaj Auto, Hero MotoCorp, ONGC, ITC Ltd and Axis Bank, rising by up to 3.90 per cent. Sector-wise, BSE IT, teck, consumer durables, realty and auto indices were trading in the positive zone with gains up to 1.45 per cent. Meanwhile, foreign institutional investors (FIIs) bought shares worth Rs 12 crore, while domestic institutional investors (DIIs) sold shares to the tune of Rs 622 crore Monday, provisional data showed. Exchanges will conduct a special 'Muhurat trading' session Wednesday between 1700 and 1830 hours on the occasion of Diwali. Elsewhere in Asia, Japan's Nikkei was up 1.02 per cent, South Korea's KOSPI Index rose 0.42 per cent in their morning sessions. Shanghai Composite index, however, fell 1.05 per cent, while Hong Kong's Hang Seng shed 0.22 per cent. The US Dow Jones Industrial Average rose 0.76 per cent Monday.